The UK’s largest electric vehicle (EV) charging network, POLAR, which includes Charge Your Car sites, is switching to 100% renewable electricity from 1st August. 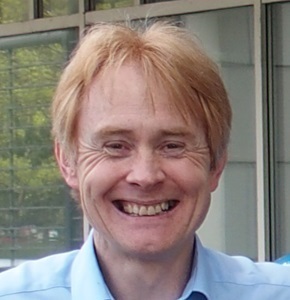 The electricity consumption of the POLAR network, operated by Chargemaster, will be certified and matched to energy generated from renewable sources by OVO Energy, one of the UK’s largest independent energy providers. It means that every mile driven by EVs charging on the POLAR network will be matched by renewable energy. The electricity consumption of the POLAR network, operated by Chargemaster, will be certified and matched to energy generated from renewable sources; meaning every mile driven by EVs charging on the POLAR network will be matched by renewable energy. 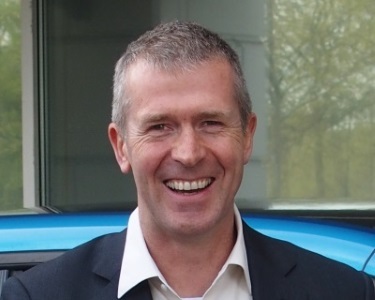 Chargemaster, the UK’s largest provider of electric vehicle charging infrastructure, provides over 40,000 EV drivers with access to more than 5,600 public charging points in the UK across the POLAR and Charge Your Car networks. Combined, they represent more than 40% of all the charging points in the UK and, in the first half of 2017 supplied vehicles with more than 500,000 kWh of electricity. 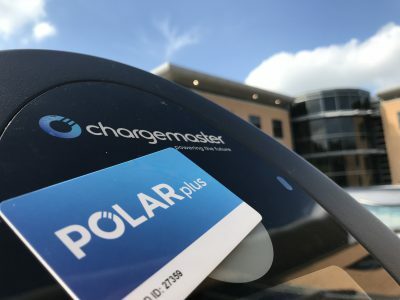 The POLAR network is growing significantly, with Chargemaster installing more than 250 of its UK-manufactured Ultracharge rapid chargers this year. POLAR plus membership, which provides unlimited access to charging points in the network (over 85% of which are free to use) costs just £7.85 per month and will not increase with the switch to renewable energy. In addition, new members benefit from free membership for the first three months. Electric vehicles already reduce local air pollution, as pure electric vehicles, and plug-in hybrid and range-extender models running in electric mode, produce no tailpipe emissions. Even when charged with electricity from the National Grid, the emissions footprint of electric motoring is still lower than the average new car in the UK. However, this benefit is increased if electric vehicles are charged using renewable energy, which ensures that electric motorists are truly ‘zero emission’, with no fossil fuel-generated electricity used when charging.